Come through, ladies and gents. 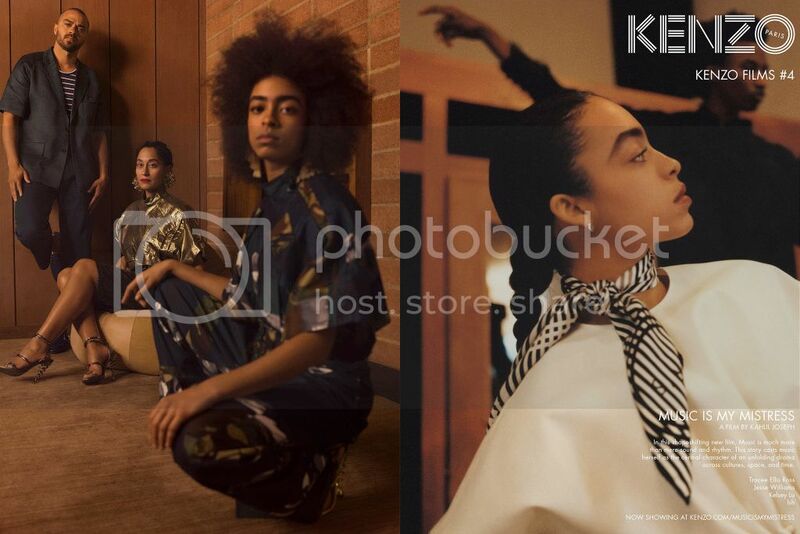 Kenzo knew what they were doing when they cast Jesse Williams, Kelsey Lu and Tracey Ellis Ross to star in their new Spring/Summer 17 campaign. In browns and golds and blue hues, the trio are a strong yet sensual vision in the astounding lookbook. But that's only the beginning as their shoot is a preview of a forthcoming short film titled Music is My Mistress, which was directed by Lemonade filmmaker, Kahlil Joseph. Expect that near the end of February.